Description: Was Hobbes the first great architect of modern political philosophy? Highly critical of the classical tradition in philosophy, particularly Aristotle, Hobbes thought that he had established a new science of morality and politics. Devin Stauffer here delves into Hobbes’s critique of the classical tradition, making this oft-neglected aspect of the philosopher’s thought the basis of a new, comprehensive interpretation of his political philosophy. 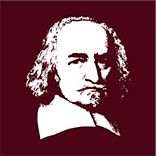 In Hobbes’s Kingdom of Light, Stauffer argues that Hobbes was engaged in a struggle on multiple fronts against forces, both philosophic and religious, that he thought had long distorted philosophy and destroyed the prospects of a lasting peace in politics. By exploring the twists and turns of Hobbes’s arguments, not only in his famous Leviathan but throughout his corpus, Stauffer uncovers the details of Hobbes’s critique of an older outlook, rooted in classical philosophy and Christian theology, and reveals the complexity of Hobbes’s war against the “Kingdom of Darkness.” He also describes the key features of the new outlook—the “Kingdom of Light”—that Hobbes sought to put in its place. Hobbes’s venture helped to prepare the way for the later emergence of modern liberalism and modern secularism. Hobbes’s Kingdom of Light is a wide-ranging and ambitious exploration of Hobbes’s thought.